Have you found your purple pants yet? - Christine Sheehy & Co.
22 Nov Have you found your purple pants yet? When I was at high school in the early 90s, there was a trend for black Adidas three-stripe track pants. Skinny-legged, with elasticated stirrups and you guessed it, three white stripes running down the side of the leg, military style. Unflattering and overpriced they may have been, but for a good two or three years, these trackpants were the ONLY thing to be seen wearing for physical education classes, or underneath your netball skirt on Saturday mornings. The cool kids rocked their three striped trackies from early in the trend. The not-so-cool kids smiled bravely in the changing room, as they pulled on their cheap imitation two stripe or four stripe pants (so close but yet so far #thanksfortryingmum #threestripesoryoureout). The kids from big families gave up trying to be cool as they shuffled around in hopelessly outdated hand-me-down grey marle trackpants with elasticated cuffs, only to finally inherit their older sibling’s three-stripes years later, once the trend had reverted to grey marle again. #storyofmylife. Yet there was one kid who stood out from the rest. She wore purple velour shorts or rust coloured daggy trackies or fluorescent yellow sweatshirts – and she didn’t give a damn. She was popular, but not in an in-crowd kind of way. She was just confident in herself and she got along with most of the other kids. No one gave her a hard time for what she wore. She knew who she was and she was respected for it. Trends. They come and go, in business as in life. In website design, in lead magnet ideas, in copy, in content, in online courses, in products. 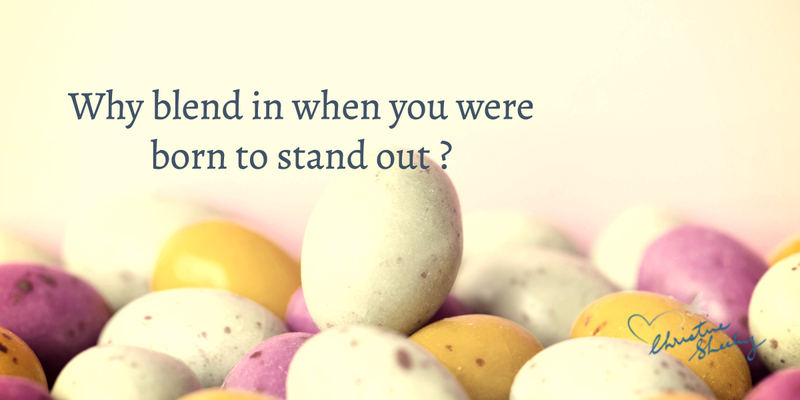 And while looking to others for inspiration is a useful thing to do, getting caught up in what everyone else is wearing only diverts attention from what your clients really want to see: YOU. I’ve sometimes wondered how many times a day someone, somewhere in the online world says ‘Make mine like Marie’s’… Of course you want a website like Marie’s. (You probably want the fans, the support systems, and heck the sales to go with it too.) It’s gorgeous, sophisticated and classy. And it’s all hers. Punchy, in-your-face copy, punctuated with expletives and alternative names for body parts. Words that slap you awake and provoke a reaction. But if you don’t know what you want to say, all that attention grabbing comes to nought. You wish you had her foresight, her client base, her income, her chutzpah. 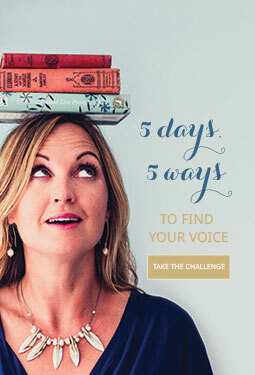 You wish you’d started five years ago like she did, you wish you wrote that blog before she did, you wish you’d thought to run that free challenge, like she did. Stop cloaking your business in cosmetic wrappers, stop trying to cultivate an arresting image because you’re too afraid to do the real work of going within. The secret lies with going deep within and reflecting on your gifts, your talents, your voice, your contribution. Defining and refining your unique message. Layering your message right throughout your business, and showing up consistently, day after day, so that when people hear your name they know just what you stand for, how you help them and why they should care. You have to stop focusing on the form, so you can find the substance. But all this introspection ain’t easy. You can always put it off for another day, while you churn out another blog post/Insta pic/sales page/offer, always keeping one eye on what those three stripes are up to. Wouldn’t you rather find your own equivalent of purple pants? I’ve got just a couple of Start with the Heart deep dive core messaging sessions left before we break up for the year. If you’re keen to head into 2019 with a clear core message so you can build a powerful personal brand, then click here to book your session.